We acknowledge the Yalukit Willam Clan, the traditional owners and custodians of the land on which our parish stands. We pay our respects to them. May we walk gently here. I would like to take this opportunity to welcome you to the website of the Catholic Parish of Port Melbourne and Middle Park in Melbourne, Australia. 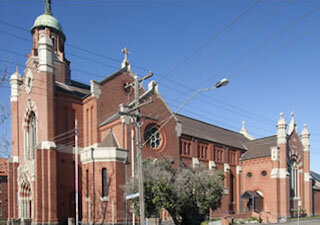 Our Parish is situated by Port Phillip Bay and is very close to the heart of Melbourne city. We are blessed by having two communities who make up the Parish – the community of St Joseph’s in Port Melbourne and the community of Our Lady of Mount Carmel in Middle Park. The Parish has been served by the members of the Carmelite Order since its pioneers from the Irish Province arrived in what was then known as the area of Sandridge in 1882. The Carmelites have lived and ministered here since that time. The Parish community is open to anyone who wishes a place for community and for worship. 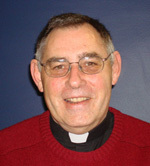 We are an inclusive community and there are many activities and ministries in which parishioners can become involved. Under the patronage of Our Lady of Mount Carmel and St Joseph, we seek to retain a particular emphasis on the ideals of the Carmelite Order – Contemplation, Community and Justice. You are most welcome to visit us at any time and we trust that you enjoy this website. May Mary, the Mother of Jesus, and Joseph, her husband gently guide you through your lives. Closed Wednesdays with phone on answering machine. Video interview profiling our involvement with the Victorian Aboriginal Catholic Ministry and our Reconciliation Journey. Also features Vicki Couzens, designer of The Elijah Window & Garden of Reconciliation sculpture.